You got broken washing machine, too? Washing Machines and Dryers are one of the most heavily used appliance in most of the households. Due to this, these machines are not vulnerable on usual wear and tear and may break from time to time. We have one in our home and I only found that our washing machine is broken, when it ripped my favorite blouse 🙁 and some other clothes that have been laundered. The next episode is when soap suds started to leak on the floor. So basically, our washing machine have gotten its early retirement, leaving me with no option rather than to haul the piles of laundry to the coin laundromat near me. Of course, apart from the longer-term plan of purchasing a new one, or having it repaired – i still need to wash the clothes on the interim. If you have never used a laundromat, below pointers could be handy as it will help familiarize on what to expect when you finally decided to bring over your laundry to the laundromat. Step 1: Presort your laundry before you take it to the laundry mat, place the clothes in laundry baskets or trash bags for easy transport. Laundry detergent (your favorite and best smelling). Laundry scent beads (a necessity if you don’t want your clothes coming out with a funky smell). Shout Color Catchers (if you need to combine loads in order to make sure you have a full one this is the tool for you). Hangers for drying any non-dryer friendly clothes (like sweaters) as well as for immediately hanging any clothes that need to be hung up after washing. Many people choose to stay during the hour or so wait that it takes for a load of laundry to complete a wash cycle, but still others will start the laundry and go nearby to run other errands or to grab lunch or dinner. 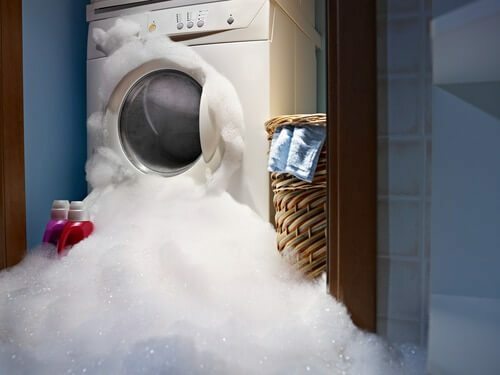 The safest route is to stay put, as laundromats maintain a strict no liability claim to the safety of your clothes. If you choose to stick around to make sure your clothes are safe be sure to bring something to do either a book to read, a computer to play on (many laundromats provide free wifi), or a smart phone to play games on. Also, bring a snack or extra cash to purchase one. Do they take quarters or use a card system? Many laundry mats are moving over to a card system, which allows you to use your credit card, or cash to place money on a plastic pay card that you slide into the machine to activate it. What sizes are their machines and how much do they cost? The majority of laundromats have multiple sizes of washers including some washers that can hold up to six regular loads of laundry. When is their last wash? You do not want to get caught last minute at the machine and forced to return home with wet clothes. Quarters: To be prepared, ask the laundromat nearby if they have coin changer available on site. Most of the laundromats do, and the coin changers will usually change bills to quarters. Otherwise, you can stop by your local bank, food, or drug store. It is recommended you go in with at least two rolls of quarters. It is important to bring the quarters with you as sometimes the change machines are out of order from frequent use and or the machines will not take your cash, better to save yourself the headache and just go in prepared. Load your machines prior to purchasing a card, this gives you a better idea of how much you will need to put on the card. Whatever you do, do not start one load and wait for the first load to be done, before placing in the second load. The beauty of a laundromat is you can have multiple loads going at one time whether that is two, five or, twelve. Step 5: Your clothes are washed and now it is time to put them in the dryer. How long do they stay in there? Well it really depends on the type of dryer if the dryers are run by electricity it is safe to say about 25 or 30 minutes is ideal for an average load. Larger loads may need anywhere from 30 to 35 minutes. If they are using the old school gas dryers typically noted by the dancing flames that can often be seen behind the top part of the dryers grill then a regular load may only need about 15 minutes on high and 20 or 25 minutes on medium. You should never need more than a full 30 minutes from a gas dryer. Finally, do not be afraid to ask the attendant for help and take the time to fold your laundry following its removal from the dryer it will make the transition hope that much easier. Also if the clothes are already folded when you get home all you will need to do is put them away. This will also help prevent any unwanted wrinkling. Check out for more laundry helpful insights.